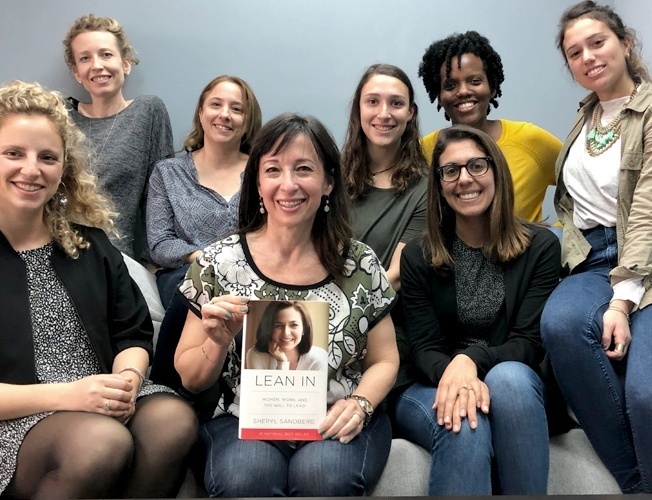 Women in Tech – Yes You Can...Lean Back In! 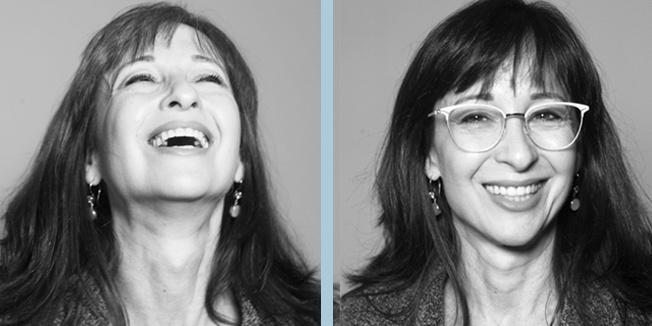 International Women’s day is here, and for the occasion we’ve decided to interview Shoham Eckhaus, Penguin’s Chief Strategist, about her career and her advice to women and men who are considering next steps of their career path in high tech. Q: Tell us a bit about your background, how did it all start? I grew up in Haifa, Israel, raised by parents who always encouraged me to strive for excellence and “race with the boys”. Maybe it was that type of upbringing that led me to study Electrical Engineering at the Technion (Israel Institute of Technology), launching my career as a Systems Engineer, developing telecommunication infrastructure hardware and software solutions for tech vendors. From there I gradually moved into product management, and later into marketing executive roles at various high tech companies including Telrad Networks, Be Connected, VocalTech, Mobixell, Alvarion. Q: Forgive me for asking you the “traditional” question that mothers are always asked... but how did you manage your work/life balance throughout this period? Outsource as much home maintenance work as possible. We adopted an “educational philosophy” with the kids, with the motto being: “minimal interference, maximum trust”. This “philosophy” actually worked wonderfully with our 2 older boys, but started to show “cracks” with our younger daughter. That was when I realized I wanted to change my lifestyle. I was around 40 years old then, and decided to quit my job as an executive at a high tech company and start my own business. My goal was to be my own employer, allowing myself the freedom to work in a way that would accommodate both my personal and my professional goals. So, I established my consulting company ClearPMM.com and also allowed myself to fulfill another lifetime dream and become a yoga teacher. Q: Wasn’t ‘building your own company’ just as demanding as working as an executive in high tech? When I started ClearPMM, I set well defined goals for myself. They were not about ‘maximizing profits for the shareholders’ (as I was ‘programmed’ to do when I was working for others). I decided that in the first couple of years of building my own business, my top priority goal was to maximize my learnings in as many fields as I could handle, and to hopefully discover what it is that I’m most passionate about. Q: So … did you discover what it is, that you are so passionate about doing? Yes, I feel very fortunate that I have, but I must admit that it took me longer than ‘just a couple of years’ until I fully realized it. In the beginning of the “Finding It” process, I did some consulting for a few early stage tech startups who happened to be brilliant and wanted to move at the ‘speed of light’. I had no choice but to learn how to work super fast. I needed to find creative ways to differentiate my clients from competitors, and to bring them ‘early signals of traction’ faster than their money ran out. That lead me to discover a whole world of methodologies referred to as ‘Lean Startup Methodologies’, and I started to feel like I’m getting closer to “my thing”. I kept myself focused on tech startups, and luckily, every happy client brought their friends… Without knowing at first what to call it, I became a Growth Hacker, and discovered that I’m totally passionate about it. 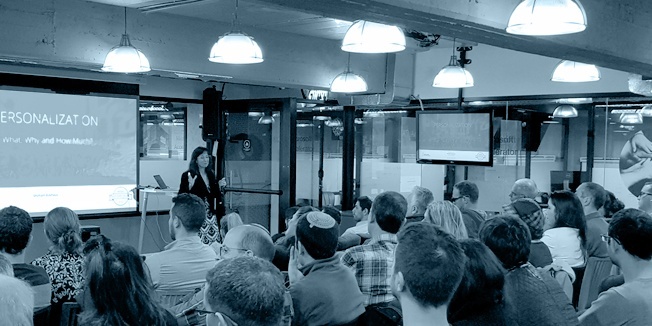 Being a ‘Growth Hacker’ for me means not just that I help B2B technology companies grow. It also means that I’m passionate about helping people around me grow. And when I say “people around me” I mean - my clients, my colleagues and employees, my friends, my family, my yoga students... being a ‘Growth Hacker’ is much more than a profession for me, it’s who I aim to be in every sense of the word. Q: Sounds like you enjoyed Growth Hacking while at ClearPMM, so what made you join Penguin Strategies? As my startup clients were maturing, their needs in the field of marketing execution grew and I found an increasing need to hire people for executing the growth strategies that I was planning. So it was the most natural ‘growth hacking’ move - to join forces with a B2B Marketing agency. I met with most of the agencies in this field in Israel, and when I met the leading team at Penguin I felt immediately that this is the team I want to join. Their professionalism on one hand and their modesty and transparency impressed me greatly. I’m confident that I made the right choice because I wake up every morning with so much joy to start my work day. Q: What would you recommend to young women and men who are at the beginning, on how to build a successful career? One path that I’ve seen is the “Cinderella Path”. This is the case that we occasionally hear of, where a person with exceptional talent and/or exceptional good luck - finds a shortcut to huge success. I believe that this path is something that happens so rarely that it’s too risky to be a good strategy. The alternative way, is persistent focus, and extreme dedication to learning. I believe that my regular yoga practice has helped me choose this path and stay loyal to it. Q: What do you think is limiting more women to hold leading positions in the high tech industry? Of course, there are all the obvious circumstances related to our society and education that influence this. I do see quite a lot of young women “enter the race” when they are just out of college. But then, typically between the ages of 30 to 40, when a lot of people are parents to young children, mothers tend to make the choice of “leaning back”. 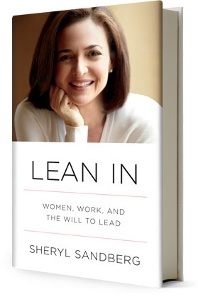 This is the term that Sheryl Sandberg used in her inspiring book ‘Lean In’. She uses this term as she refers to the state that often women go into when they become more interested in taking care of their families, and therefore often decide to lower their impact at work. I totally respect women or men, who make this choice. In fact, I too, took such a step at one stage in my life, when I wanted to dedicate more time to my kids. The statistics about this choice to ‘Lean Back’ show that it’s usually the mothers who choose so, more than the fathers. I’m personally not sure if the reason for the typical female choice is due to society / traditional expectations or maybe due to the very core biological and psychological differences between men and women. Whatever the reasons are - any person should have the right to choose. But here’s what often happens: After 10 or so years of ‘leaning back’ - the kids are older, and the mother is now ready to jump and 'lean back in'. BUT - she’s been “out of the race” for years, and she now feels that it’s just too late for her to get a great job in hightech. She’s too old, her skills are not 'up to date', and it can be difficult for her to compete with the younger candidates, especially those without family obligations. Q: So what should women, who took time to ‘lean back’ do differently? First they need to believe that they can lean back in and succeed!